Love is seasoned feelings of heart and needs to express. Love poetry is an effective way to express the sentiments of love. We have a vastest collection of Love Shayari in Hindi (लव शायरी) for Whatsapp & Facebook Status. Read these Shayari about Love in hindi and english script both. If you are searching for love poetry like true love shayari, new love status for whatsapp DP or love shayari wallpaper, then you are at right place. Express your love feelings to your lover with a right love shayari. Manga Toh Siskiyon Ki Bhi Hadd Se Gujar Gaye. Ek Hum Hi Hain Jo Tere Khayal Se Aage Na Gaye. Khud Se Barh Kar Mujhe Rehti Hai Jarurat Uski. Ab Zamane Ka Bahaana Na Bana. 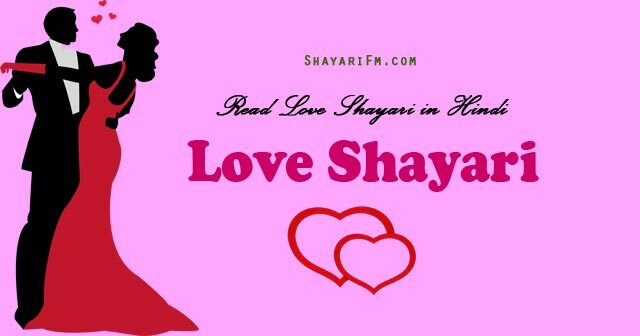 Read and share all new Romantic Love Shayari of 2019 with him, her, girlfriend, gf, boyfriend, bf, husband, wife or someone special you do like.